Located in Louisville, Kentucky, Oxmoor Toyota has a stunning selection of new Toyota Prius vehicles to choose from. And whether you like the new Toyota Prius for its incredible innovation or its effortless fuel economy, you’ll find what you’re looking for in our new Toyota inventory below. You can browse our new Toyota Prius models to find the options and features that best fit your active lifestyle. 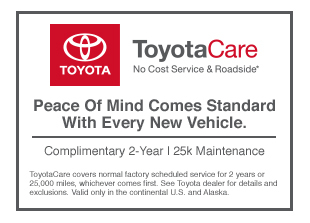 From there, call our helpful staff with any questions you may have, or stop by our Louisville, KY Toyota dealership for a test drive you’ll never forget. After you’ve taken a look at all our exclusive new Toyota Prius inventory, be sure to take advantage of our handy online shopping tools to make sure you get an awesome deal. For instance, you can check out our offers & incentives page for factory offers on all our most popular new Toyota models, including the Toyota Prius. From there, take a look at our value your trade page if you have a trade-in vehicle that you’d like an appraisal on. Finally, use our payment calculator on any new car or used vehicle that you discover on our site. Leasing or financing a Toyota Prius is a simple and straightforward process when you shop with the knowledgeable people in our Louisville, KY auto finance center. We’re experts at helping our customers get the right kind of auto financing for their budget and credit situation. If you’d like more information on how we can help you get behind the wheel of the perfect Toyota Prius, call now or fill out our secure online auto finance application today.